For residential and commercial building owners that have brick, block, or stone exteriors; a common question is “can I get away with repairing the surface…. This can be a loaded question because a mason understands that the client likely hopes to minimize costs, or genuinely is unsure whether repairing a particular masonry surface is the right job or not. The answer can be yes, no, or both. There are factors which must be considered in order to arrive at the correct solution. 1) Will the result provide a lasting solution for the client? 2) Is this a job I can warranty/stand behind? 3) Is the sub structure in sufficient condition? 4) Are there hidden issues which could arise when engaging in such work? 5) Are the materials able to be sourced, to provide a seamless looking job (example brick or stone type)? 6) Is the client willing to pay for the correct job, or simply looking for a “band-aid solution”? 7) Although a repair may be structurally sound, will the appearance of the work look poor when finished? 8) What liability would I inherit if the client insists on a minimal solution? The experienced and ethical mason would ask him or herself these questions in some fashion, and would typically complete due diligence by way of inspection and possible research, in order to honestly fulfill such a request for service. Experience teaches that client’s memories can fade over time. At the time of sale, a budget solution may have been requested; but down the road if the solution has not lasted; what clients remember is that they spent their money, and now are faced with doing the project again, or defaulting to the re-build solution. Invariably, they likely won’t remember the mason in a good light, although they pushed for a cheaper approach. Lesson learned- do it right the first time, and do it the best way possible, or best not to get involved the job. Generally from a technical point of view; the condition of the structural element is the key determining factor. One example can be a brick chimney. If more than 50% of the brick surfaces are shaled; it makes better sense to rebuild the chimney, and from below the roof grade. Cheaper solutions that may be offered to a client could involve rebuilding from the metal flashing up. The result could be that there are damaged bricks below the roof grade which remain unidentified. 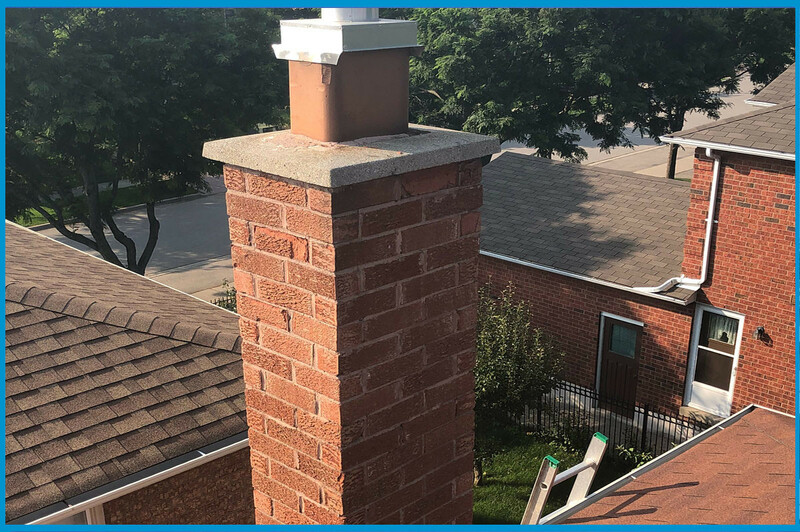 The cheaper job may look good and save hundreds of dollars in the moment; but the result could be wasted expense if the chimney leans in the future. In other words the job would have to be re-done again. 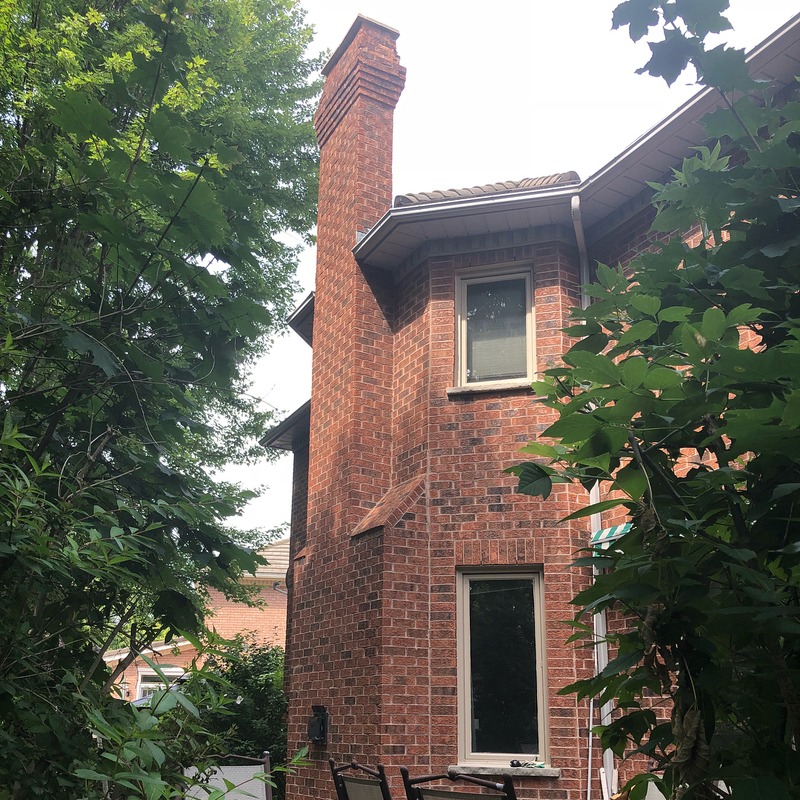 If however; the chimney had a few top brick courses, or some individual bricks that needed to be sawn out and replaced; and a few mortar joints that were void; repairing would be a viable option that would give the client many years of future performance. The affected bricks would be replaced, a new cement cap would be installed, and all deficient mortar joints would be pointed. It is therefore important for the person responsible for the investment, to understand the reasons behind the quoted scope of work. Photos which document the particular condition of the structure are an undeniable reference point that a mason should be willing to provide to their clients, because many people are not comfortable at heights, or qualified to be on roofs to investigate for themselves. When considering brick, block, or stone walls; there are added clues one will inspect for, to determine the structural suitability of same, and to judge whether or not a repair is a valid option. Warning signs such as bricks which appear to “belly out” from the adjoining wall surface, may signal that the brickwork is not tied in properly to the wall surface substructure beneath the brickwork. The sub-surface could be blocked, beneath a brick veneer, or it may be a wood wall. It could also have something to do with water ingress from behind the brick over many years. Age can be another consideration. As an example; if bricks are porous; that is to say that the glazing has worn off, and the bricks can become saturated over time, after rain events; a case can be made that replacing the surface with new brickwork may be the best long-term solution. Some may attempt a waterproof coating strategy, likely using silicone based sealers; but that does not always provide a bulletproof solution. For historic and heritage properties, where original aesthetic is the primary criteria; such an approach may be the preferred strategy, simply because they just don’t make bricks from 1865 anymore. Under such circumstances, the mortar joints may be re-done with a tinted mortar to replicate existing mortar colours, and badly deteriorated bricks may be replaced. The building owner would have to understand that every decade or so; the process may have to be repeated in adjacent areas. As with many restoration projects of this nature; work may be scheduled over a number of years until the project may be deemed complete. Other signals of possible structural concern involving bricks or block, can be the observation of a saw tooth pattern which appears along associated, descending brick/block courses. This could result from a shifting or previously settled foundation beneath, which often will be the root cause. 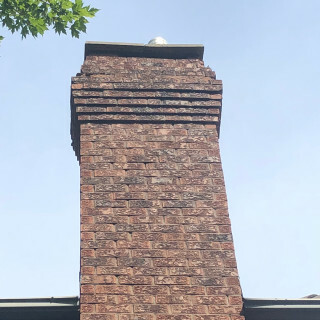 Patching the specific mortar joints in the saw tooth area, could be a cheaper temporary fix, but ultimately won’t solve the structural problem; and therefore may result in the same result a few years down the road. When waterproofing foundation walls constructed of block; often overlooked is the fact that the mortar joints below grade need to be re-pointed. Foundation coating and membranes may hide such deficiency, but a superior lasting job results if the time and care is taken to repair this structural element first. In fact a clean surface of parging over the block, allowed to properly cure, may serve to create a superior surface for water-proofing materials to adhere to. Of course, this may cost more than a budget option, as it involves more time and materials to complete. To learn more about masonry and related subjects; contact www.avenueroadmasonry.com or visit them on Facebook™ or Instagram™. previousBEST TIME TO CONDUCT MASONRY REPAIRS AND REBUILDS? nextCHIMNEY CLEANING: WHY IS IT IMPORTANT?